Orphaned Heart Ministries brings healing to individuals who have suffered from Rejection, abandonment and trauma in Life through the Power of the Holy Spirit. Due to the wound of rejection people keep seeing themselves in the lens of an orphan. As a result, they live defeated lives without understanding their purpose in life. This condition can only be healed when we come to accept Jesus as Lord and savior, only then do we receive the adoption as sons and daughters of God. A Conference on Healing the Orphaned Heart has began in the Diocese of Shyogwe headquarters where Clergy and their spouses are learning about healing from rejection. The main objective of this conference is to enable the Christian couples to receive this healing and in turn spread it to their families and community. 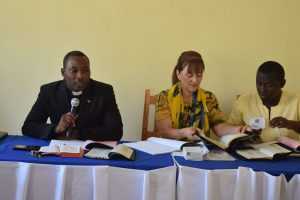 The Team Leader of this team is Janet Helms from the United States of America; She has come along with a team of seven missioners from Uganda who are helping with the training of the clergy and their spouses. 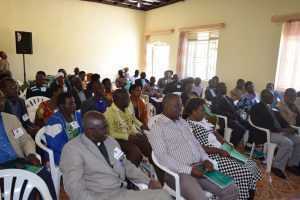 This ministry has operated in different dioceses in Uganda and this is the second time the Orphaned Heart team is conducting a conference in Rwanda. Some of the topics that are being taught include: Definitions useful for understanding the orphaned heart, Diagnosis of the Orphaned Heart, Ten steps of healing the Orphaned Heart, Losses in Life, The orphaned heart caused by Genocide, Progression of an injustice, our identity as Children of God among others. The Conference will be on from Tuesday 17th may to 19th May.